Democratic Lefts Tony Wright hands over the reigns on Dungarvan UDC and Waterford County Council to Fiachra O Ceilleachair. 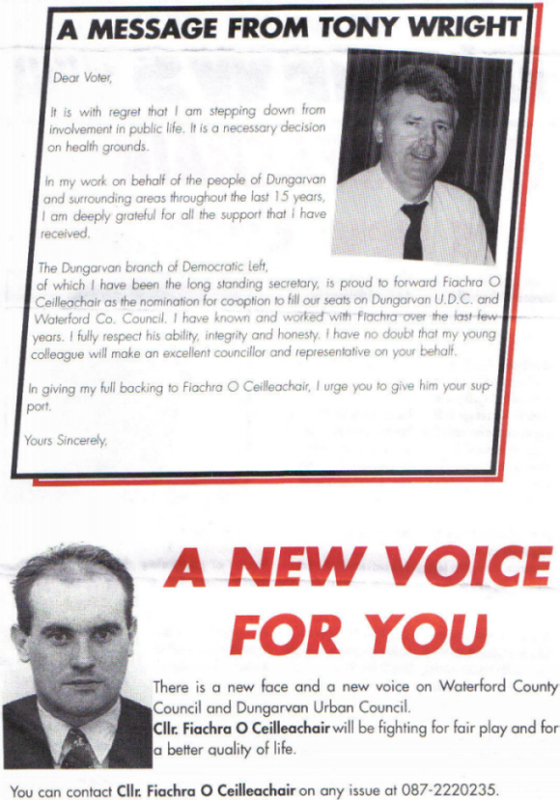 Both Fiachra O Ceilleachair and Tony Wright had been members of the Workers Party and Fiachra O Ceilleachair later stood for Labour. 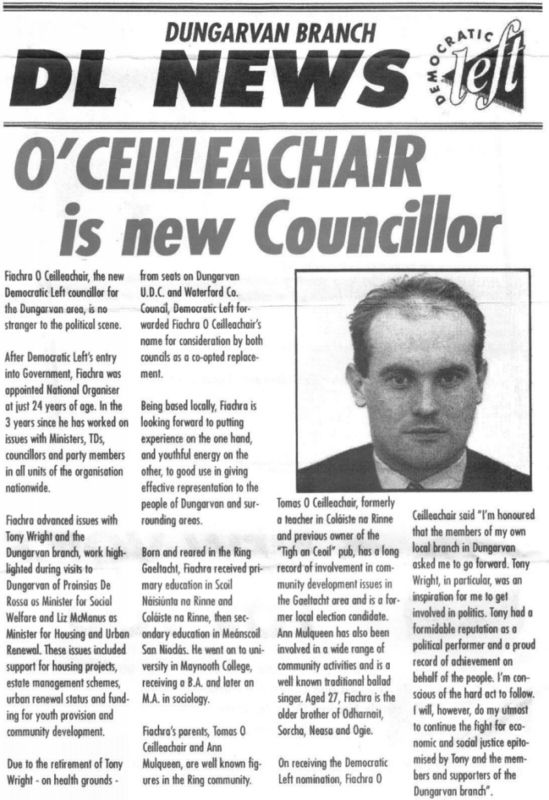 Wright himself had been elected to Waterford Co Council in 1991.